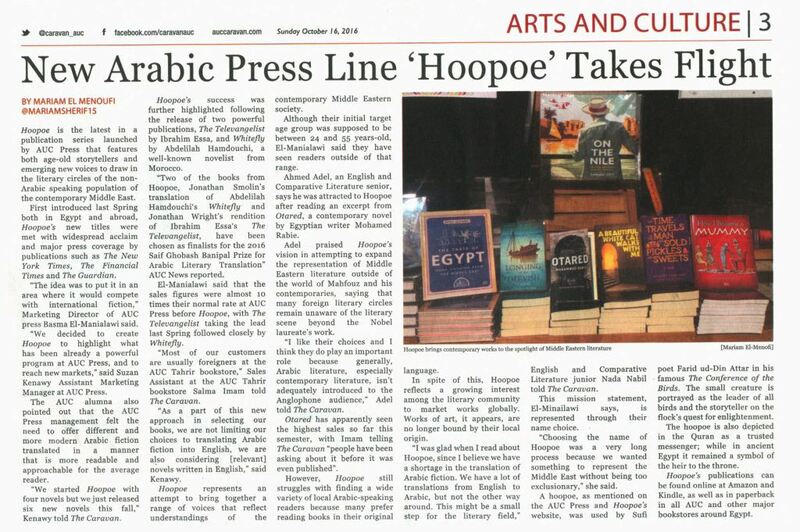 Basma El-Manialawi and some Hoopoe readers. the non-Arabic speaking population of the contemporary Middle East. understandings of the contemporary Middle East society. novel by Egyptian writer Mohamed Rabie. beyond the Nobel laureate’s work. English and comparative literature junior at AUC Nadia Nabil told The Caravan.